The life of your car and its safety will depend on the extent to which it is cared for. Regular car service keeps your vehicle healthy and fit. A service is specifically designed to check the parts and fluids of your car which undergo everyday wear and tear. A healthy vehicle is not only a safer vehicle it can save you money too. A regular service can help to spot or reduce the occurrence of potential long term problems and recording a full service history will help to maintain the resale value of your car. 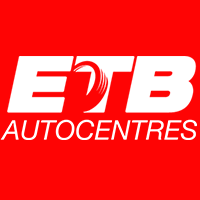 At ETB our expert technicians offer both interim and full service packages and you can see below exactly what this covers. We only use Original Equipment 'Matching Quality' parts which means you get a huge saving compared with main dealer prices. All parts and labour work is guaranteed for 12 months and your car service book will be stamped, giving you reassurance and complete peace of mind. Tyre inspection - condition, pressures and tread depth. Car servicing is available from our stores in any of the following areas. Car servicing and MOT testing is available from our stores in any of the following areas.